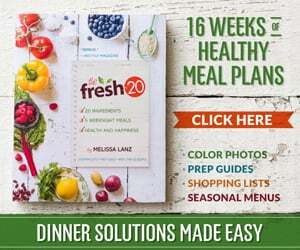 This quick and simple to prepare Instant Pot or Slow Cooker meal is a clean eating recipe – gluten-free, dairy free and sugar free. Crock-tober continues! One of my favorite things about Crock-Pot and Instant Pot cooking is that you can scale up any recipe for meal prep. Double a soup and you’ve got lunches for the week, or freeze single serve portions for seriously fast weeknight dinners that save you from dialing for pizza. And something about the Fall season just makes me crave warm, hearty meals — but I don’t want to sacrifice my health. 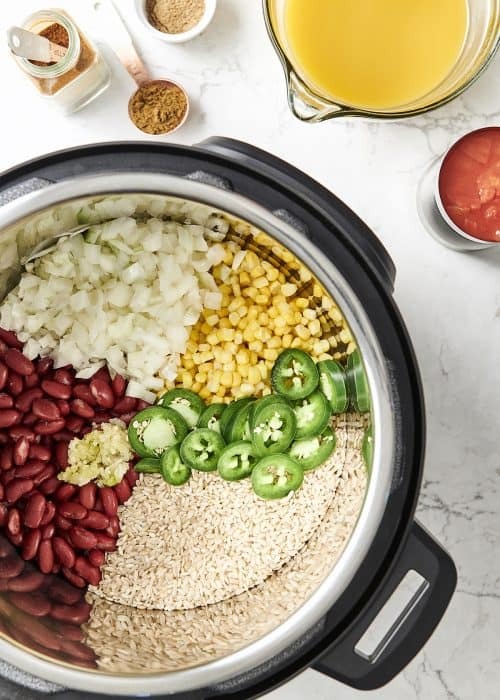 The slow cooker and instant pot are the perfect answer because they don’t require large amounts of fat or salt for a decadent meal. This is the ideal vegetarian recipe for a meatless Monday or for lunch meal-prep, and it’s on rotation in my kitchen because it’s very simple but has the most delicious flavor. With warm spices like coriander, cumin and chili powder, topped with a squeeze of fresh lime, this dinner is sure to satisfy. This quick and simple to prepare clean eating recipe is vegetarian, gluten-free, dairy free and sugar free. Set the Instant Pot to sauté mode. Heat 2 Tablespoons olive oil, then add sliced onion, garlic, and jalapeno. Stir occasionally, sautéing for 3 minutes. Add rice. Saute for additional 3 minutes. 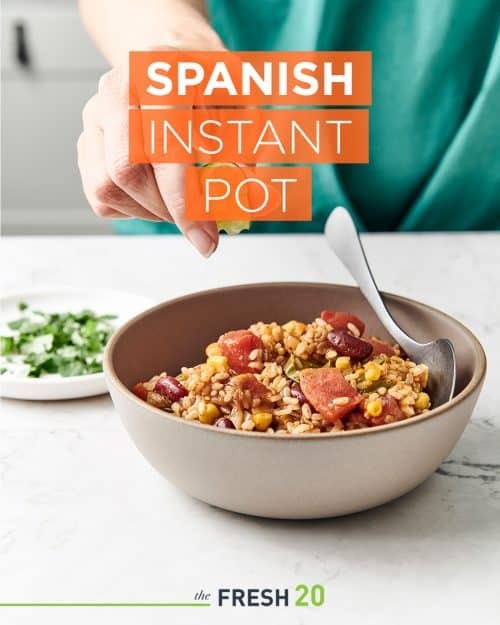 Secure the lid on the Instant Pot, close the steam vent and set to HIGH pressure using the manual setting for 8 minutes. When the timer goes off, carefully release the pressure using quick release. Serve in bowls with avocado slices (optional).